The War on Drugs is likely the single biggest policy failure in the post-war period, with disastrous consequences ranging from near-failed narco states to ballooning prison populations across the globe. The only blue sky has been the dedication of thousands of people who support and work tirelessly promoting harm reduction in a world where drug taking has always been – and will always be – a fact of life. In my experience, every advancement in harm reduction initiatives has had proven and immediate benefits to both the individuals and society at large. By contrast, efforts to suppress or deny harm reduction initiatives simply adds to the damage caused by fundamentalist drug policies, the evidence of which we can see all around us. I am proud to support Harm Reduction Australia, and trust its efforts will lead to a more sensible framework for people who use drugs, as well as their friends, family and society at large. Gideon Warhaft was editor of User’s News, a quarterly magazine dedicated to harm reduction, published by the NSW Users & AIDS Association (NUAA). During his time at NUAA Gideon sat on numerous boards and committees dealing with drug issues, including NSW Justice Health’s Consumer and Community Group, the Medically Supervised Injecting Centre’s Community Consultation Committee and the Of Substance Editorial Review Group. Gideon also worked extensively with the media during his time at NUAA, and represented NUAA at numerous Australian and international conferences. 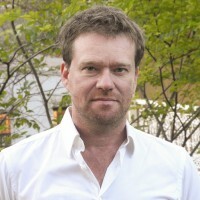 Gideon is the cofounder of Sage.fm, an online consultation platform, and the digital design agency Guru Orange. Gideon remained involved in drug policy issues, writing frequently for the Australian National Council on Drugs’ Of Substance magazine, as well as other publications including Hepatitis Review. He has also participated in drug policy forums including the Australia21 Roundtable on Illicit Drugs held in Melbourne in 2012. Gideon is an active member of the Australian Drug Law Reform Foundation and a cofounder and director of Unharm!, a campaigning organisation dedicated to sensible drug policies.